Recently shooting of single episode play ‘Banglai Bodhu’ was held in different locations in the city’s Uttara area. The play was scripted by Irani Biswas and directed by Sajjad Rahman. At the end of 2007 promising TV actress and model Shimana started her film career by the movie ‘Daruchini Dweep,’ directed by Tawquir Ahmed. In that movie, she performed in the role of Naima. Eminent jurist Mahmudul Islam on Thursday told the Supreme Court that martial law will be imposed in the country due to the existing situation and mentality of the politicians if the caretaker government system is cancelled. Morshedul Islam’s latest film on the Liberation War, “Amar Bondhu Rashed”, will be released tomorrow. Initially the film will be released in Dhaka, Khulna, Rajshahi and Dinajpur. Based on a novel for adolescents by Dr. Mohammad Zafar Iqbal, the film narrates the courage and patriotism of a teenager in 1971. Queens Museum of Art in New York, USA has organised a solo painting exhibition featuring works of Bangladeshi expatriate painter Md. Tokon. The painter has been in New York since 2001. The exhibition opened on March 19 and will run till April 10. The museum also held a reception in honour of the artist on March 27. 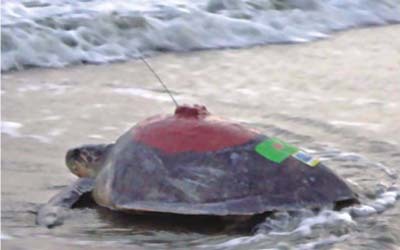 The first turtle that was tagged in Bangladesh with a satellite chip to track its journey last year has travelled over 12,000 kilometres in 357 days and is now coming back to Bangladesh coast from Sri Lanka. Although the 23-kilometre overhead data cables between Uttara and Shahbagh had been shifted to underground, steps to clean more parts of Dhaka city are yet to see any progress. 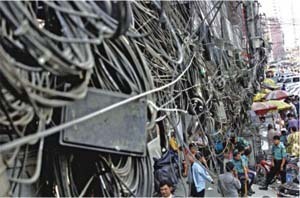 Under a project that seeks to remove overhead cables from Dhaka, data cables on the main streets between Shahbagh and Motijheel were supposed to be moved underground by the end of February. According to power ministry officials, the equipment required for the shifting are not yet in place. An atypical Sachin Tendulkar, a menacing Munaf Patel and a wily spell of spin bowling from Harbhajan Singh propelled India into the final of the 2011 World Cup, with a hard fought 29 win over arch-rivals Pakistan at Mohali yesterday. Senior Supreme Court lawyers Rafique-ul Huq and M Zahir on Wednesday told the Appellate Division of the Supreme Court that the caretaker government system should be revised by dropping the provision for appointing former judges as chief adviser or adviser. The country’s small and medium manufacturing units of jute goods are muffing a huge demand for jute bags on the global market due to lack of finance and international-standard production efficiency, reluctance of jute mills to sell quality jute fabrics in small lots, and lack of policy-level drive for diversification of jute goods. The government has decided to deploy mobile courts, if necessary, to enforce market closure after 8:00pm in a day or two to ensure uninterrupted power supply during the Higher Secondary Certificate examination schedule to begin on April 5. Nobel laureate Dr Muhammad Yunus on Wednesday said he want to see Grameen Bank remains unscathed in future.